Duke of Wellington, the champion of the Cinque Ports Pilots. Dover Harbour Board. 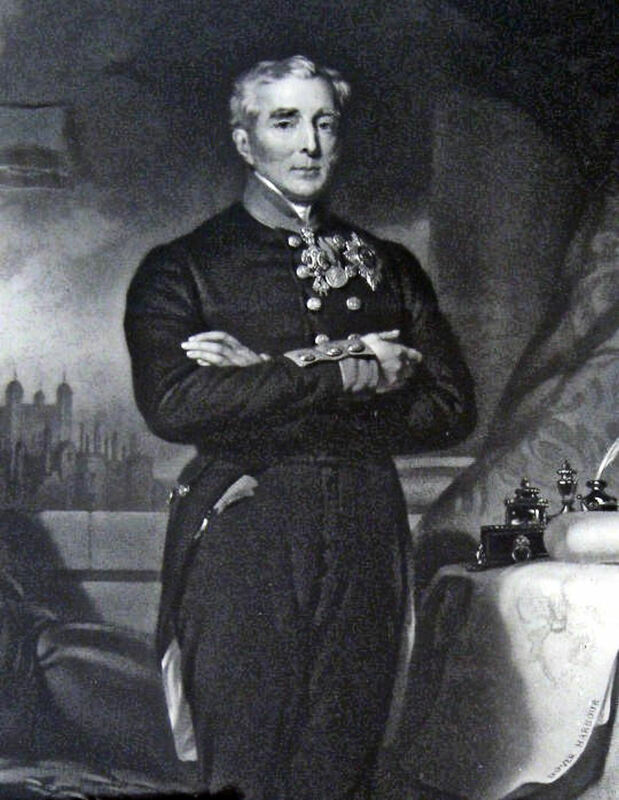 On 14 September 1852 the Cinque Ports Pilots champion, the Lord Warden (1829-1852), Duke of Wellington (1769-1852), died – see Cinque Ports Pilots Part I. The government lost no time, having rationalised pilotage, to do the same with the Admiralty Court. The Lord Warden’s Bench, on which for centuries the Lord Wardens had sat while presiding over the Court, stayed in what became old St. James’ Church until World War II (1939-1945). For safekeeping it was moved to St. Mary’s Church and then to the Museum, where it still be seen. Although the Cinque Ports Pilots had become part of Trinity House, their licenses covered the area from Dungeness (west of Dover) to London Bridge and vice-versa. Albeit there were other changes, for instance, to become a Trinity House pilot the applicant could be no older than 35-years but only required 5-years as a master mariner instead of 7-years that had been required by the Cinque Ports Pilots. Another change was that all pilots on passing an examination went straight on to the Upper Book – or became First Class, as this was now called. The Lower Book was redefined as Second Class and these pilots could take the exam after only one-year experience. 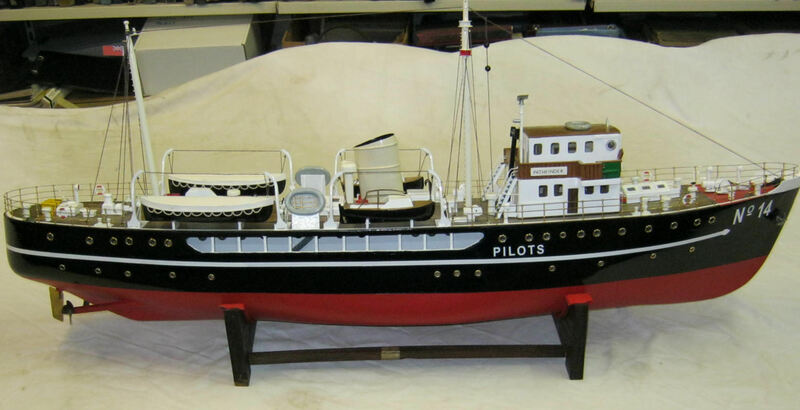 Finally, the cruising system was introduced, where pilots took ‘turns’ at being stationed at sea on a pilot cutter. The Merchant Shipping Act of 1854 consolidated most of the existing legislation on pilotage. Four years later the Deal Pilots were gradually transferred to Dover with the last three transferred in 1937. Many ship owners were still antagonistic towards compulsory pilotage and made their views felt at the meeting of the Parliamentary Select Committee into Shipping in 1860. About this time the pilot cutter, which was paid for by the Cinque Ports Pilots and had to be on the move all the time, was authorised to anchor at a fixed station off Dungeness. However, the cutter, in a fixed position, was vulnerable to being sunk. On 22 May 1862, the Princess was run down with the loss of two lives. The cutter usually had a crew of five and on average 14 pilots was on board. As these pilots joined ships another 14 would be brought to the cutter. It was agreed within Trinity House that all ships bound for London received Cinque Ports pilots and ships going in the opposite direction, carried Trinity House pilots. Once a pilot had boarded a ship his flag was hoisted so that ships that did not have a pilot on board could easily be identified. 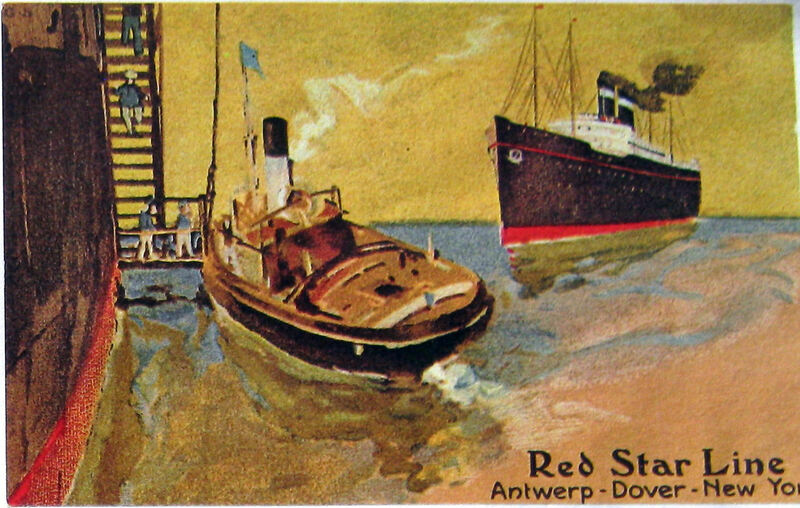 A pilot on duty at one of the shore stations would be rowed out to the pilot less ship. Hefty fines were imposed on any vessel found guilty of avoiding pilotage. The 1872 Merchant Shipping Act altered the way payments were made by Cinque Ports Pilots to bring them into line with their Trinity House colleagues. The Act also authorised the issuing of special licences to persons ‘acting as pilots for any part of the sea or channels beyond the limits of any pilotage authority. However, no pilot so licensed be entitled to supersede an unlicensed pilot outside the limits of the authority by which he is licensed.’ As the Cinque Ports Pilots fee included a percentage towards the cost of the cutter, they charged more than the Trinity House pilots did. The new Act enabled ‘choice pilotage’ whereby ship owners could approach Trinity House pilots of their choice to bring their ships up the Channel to London, as they were cheaper. 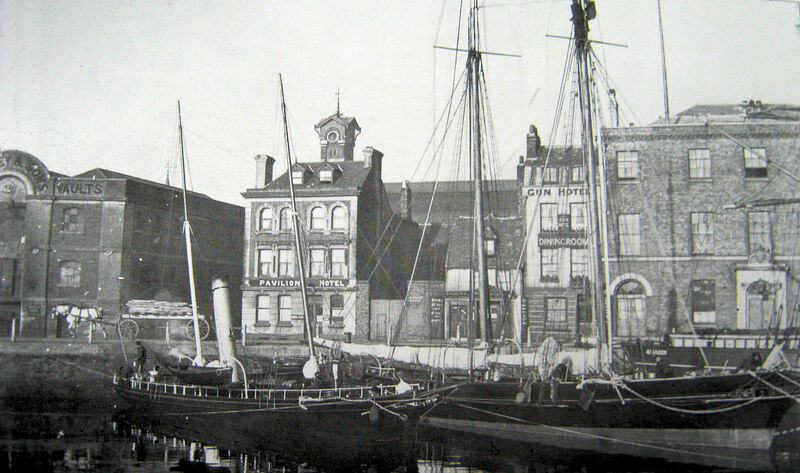 The Granville Dock, Dover, was opened in 1874 and from that time Pilot boats not in service were kept there. At the beginning of 1879 there were 73 pilots living in Dover headed by Superintendent Captain Cow with the longest serving pilot, Peter Decent, who joined in 1837. There were also five pilot cutters, Wellington, Granville, Princess, Vigilant and Edinburgh. On 13 March, that year saw the biggest disaster ever to befall the Cinque Ports Pilots. The 62-ton cutter Edinburgh was run down by the 1,100-ton mail steamer Severn, and ten pilots plus three crew lost their lives. 12 women were widowed, 60 children left fatherless and the whole town went into mourning. The subsequent Inquiry blamed Clement Bateman, the Severn’s second officer, as he should have slackened speed when he saw the Edinburgh. However, the Inquiry also found that the Edinburgh crew had not properly observed regulations appertaining to lights so Bateman’s ticket was only suspended for six months. Trinity House tried to claim costs but failed for the same reason. In 1883, it was reported that there were 3,168 pilots in the British Isles and they piloted 168,418 vessels for a total income of £427,532. The following year the United Kingdom Pilots Association (UKPA) was formed representing the interests of licensed pilots throughout the UK. Underlying the formation was the continuing effects of the 1812 Pilotage Act (see Pilotage Part I) relating to the freedom of liability for vessels subject to compulsory pilotage. Further, the number of foreign ships being taken up and down the Channel without a licensed pilot was increasing and was said to be a contributory factor in the German ironclad Grosser Kurfürst, disaster on Thursday 30 May 1878. A formal Inquiry into Pilotage was held in 1888, when the ‘choice’ pilotage service came under scrutiny and it was recognised that it was unfair to the Cinque Ports Pilots. It was also found that a number of Trinity House pilots actually obtained more ‘choice’ work than they could handle and they ‘hired’ other pilots to take on this extra work – making quite a bit of money for themselves. It was formerly agreed that Cinque Ports Pilots were to take ships from Dungeness to Gravesend where, by then, the largest pilot station in the world was situated. Steam cutters were introduced at Dover in 1891 with part of the cost deferred by the pilots. Three years later, in 1894, the Merchant Shipping Act consolidated existing legislation and pilots were defined as ‘any person not belonging to a ship who had the conduct thereof. And they are under an obligation to offer their services in all weathers, unless under circumstances of absolute danger to their lives.’ Albeit, the number of foreign ships operating in UK waters without UK licensed pilots was escalating. The Dover pilots moved out of their ornate Pilots Tower, by the Lord Warden Hotel, on 24 May 1912. In March 1914, it was demolished in order to lay a double railway line from the South Eastern and Chatham railway to the Admiralty Pier. Earlier that year the Pilots had bought No 1 the Esplanade. By Royal Warrant of 1912, Trinity House Elder Brethren were empowered to use the title of Captain and take precedence immediately after captains of the Royal Navy. Shortly after, all pilots wore a naval style uniform. 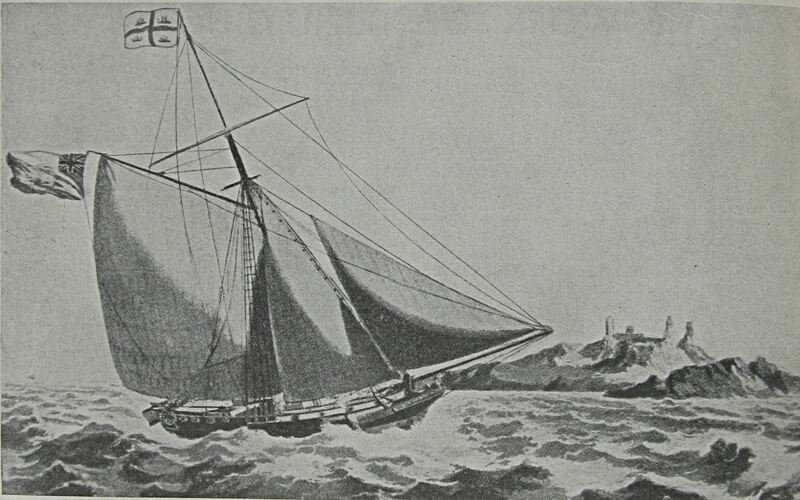 On 28 July 1914, a new pilot cutter the Patrol came to Dover. A Committee on Pilotage was set up by Parliament in 1909 and a searching inquiry resulted in the Pilotage Act of 1913. The Act laid down a general framework of by-laws for pilotage authorities to adopt and adapt. The Act defined the meaning of ‘excepted ships’ that were not legally obliged to employ pilots. These included Her Majesty’s ships, pleasure yachts, some fishing vessels, and other small craft. It also settled on the ship owner or master liability for damage caused when under pilotage. In August 1914, World War I (1914-1918) was declared and Dover pilots conducted vessels not only through the Strait but also sometimes as far west as the Bristol Channel and north as Scarpa Flow. Their work was dangerous with Dover Pilots, R H Kitson, A G Knox, W Fletcher, J Ferguson and T Blaxland losing their lives. The UKPA published their first magazine, the Pilot, in 1920 and a year later records show that 1,300 pilots belonged to the Association. The magazine raised awareness of the problems pilots faced and how difficulties could be avoided or averted by adopting better procedures. However, the country was sliding into an economic depression during which time ship owners pressed for reductions in pilots’ charges. In 1925 returns relating to pilotage for the previous year was published in the national press and showed that Trinity House had, in 1924, 573 pilots who had piloted 45,007 British ships and 26,323 foreign vessels. The total amount received was £413,535 16shillings, equalling approximately £722 per pilot. In Dover there were 75 attached pilots, who were employed in the Channel Service and the average earnings for them was, £900 net and £22 for extra services. Ten years later the average earnings had fallen to £875 per year with £13 for extra services. 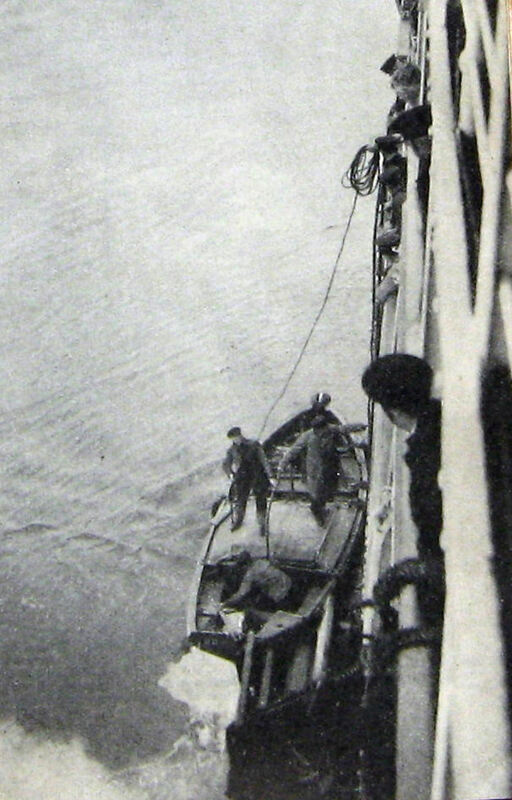 Over the next few years there were numerous Parliamentary Inquiries into Pilotage and in 1935, there was a demand by ship owners to reduce the number of pilot cutters and methods of boarding in order to reduce their costs. At the same time, the number of vessels using pilot exemption certificates was again on the increase. Cinque Ports Pilots memorial St Mary’s Church. During World War II (1939-1945), the Cinque Ports Pilots, as in World War I, took ships far beyond the Channel and in the run up to the D-Day landings of June 1944, they were involved in moving parts of Mulberry harbours to France. E M Smith, F O Ensor, D MacDonald, W H Hopkins and W E Peverley lost their lives. On 23 May 1948, in appreciation of their war service, a plaque bearing the Trinity House Coat of Arms was presented to the Cinque Ports Pilots and now hangs in St. Mary’s church. A year later, the oak table, below the plaque, was dedicated to those Pilots who gave their lives during both wars and on 1 June 1958, Cinque Ports Pilots window was dedicated by the Rev. Stanley Betts (1912-2003) – Bishop of Maidstone. The number of pilots increased during the 1950s and 60s and in Dover their base was on Marine Parade. 1956 saw a Ministry of Transport Inquiry, chaired by Sir Robert Letch – the general manager of the docks division of the British Transport Commission – and resulted in the Letch Agreement. This set the structure of pilots’ earnings and conditions of service. Pilots are self employed and licensed for vessels up to a certain draught. As their experience increases so, they are able to take vessels of deeper draught and their earnings increase accordingly. Charges made by Trinity House are based on tonnage that is, based on the draught band that the vessel belongs. In June 1960 Prince Henry, Duke of Gloucester (1900-1974), as Master of the Corporation of Trinity House, visited the pilot office in Dover and inspected the pilot cutter personnel before going to Dungeness to open the new lighthouse there. The last cutter based at Dungeness was Pathfinder and in 1967, the boarding of pilots from a cruising cutter was abolished. From that year, pilots were taken out by a fast launch based at Folkestone and from 1971, their base was the newly built Folkestone Pilots’ Tower. On 12 May 1970, following the success of a Ten-Minute rule Bill in Parliament present by the Folkestone MP, Sir Albert Costain (1910-1987), regulations were introduced ensuring that the pilots ladder, by which they access ships, were secured to the ships structure. The Pilotage Act of 1987 took effect in October 1988 and the Cinque Port Pilots were disbanded. 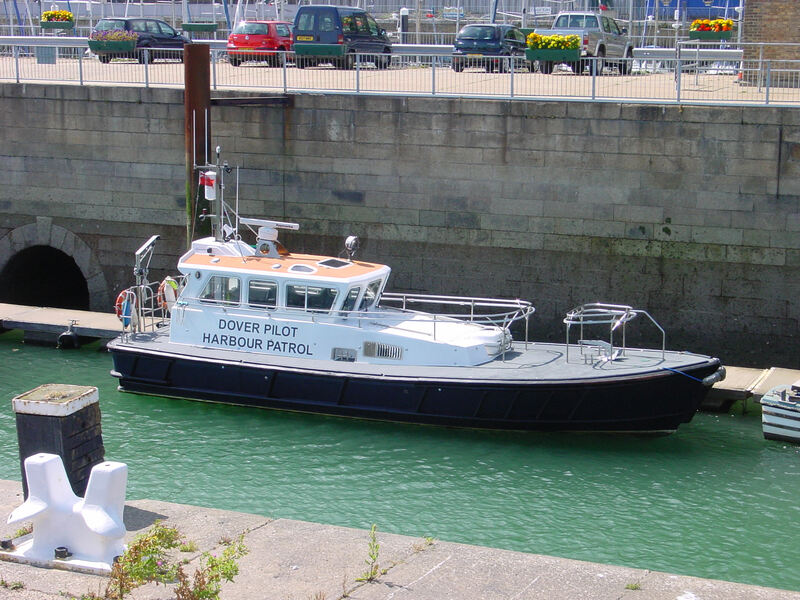 The service was transferred to Competent Harbour Authorities (CHA) such as the Dover Harbour Board. These days’ pilots have bases at Dover, Ramsgate, Harwich and Sheerness for ships coming and going from the north, south and east of the Continent. London pilots operate from Gravesend – for ships going to and from Tilbury and berths along the Thames from Margate up as far as the Pool of London. Trinity House is one of the three authorised bodies responsible for deep-sea pilotage. Following the 1996 Sea Empress disaster (off south Wales), the Port Marine Safety Code was established (amended in 2013 by the Marine Navigation Act). This enables a CHA to relinquish its powers and permits Pilot Exemption Certificates to be awarded to suitably qualified deck officers but has tightened the use of Exemption Certificates. Every year, on Trinity Sunday, (first Sunday after Pentecost) a special Pilots’ service is held in St Mary’s Church, Dover. This entry was posted in Cinque Ports, Cinque Ports Pilots - Part II, Cinque Ports Pilots - Part II, Maritime. Bookmark the permalink. The final part in a fascinating history of the Cinque Port Pilots, which Trinity House became responsible for in 1854.